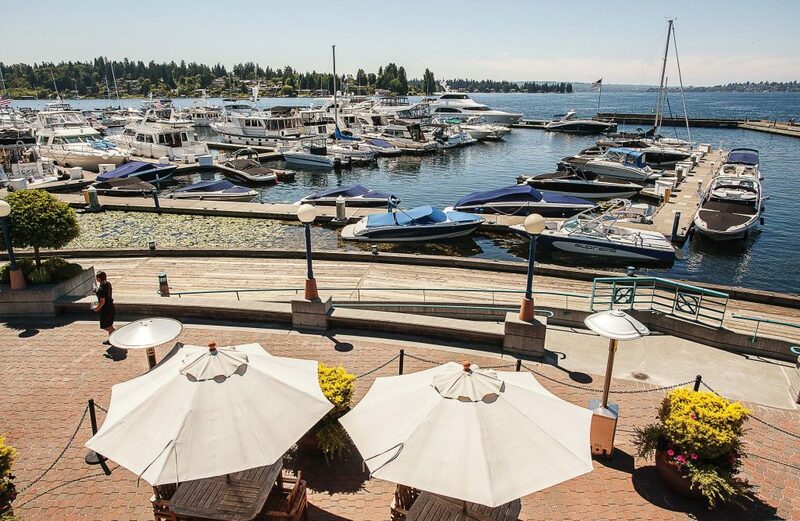 Kirkland, Wash., is a Pacific Northwest gem that really has it all. A suburb of east Seattle in King County, Kirkland is a community of 88,630 that is consistently ranked as one of the most livable communities in the country. It boasts unique neighborhoods, a quaint downtown area, plenty of green space and a penchant for attracting a number of STEM-related businesses and companies, including the tech giant Google. During the Great Recession of 2008, a survey discovered that approximately 65 percent of all corporate businesses in the greater Seattle area had a CEO or other senior officer who lived in Kirkland — a fact that was not lost on city officials. One such individual was Google executive Pete Wilson who liked the community and was in no hurry to leave. 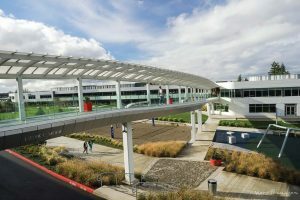 When Google announced that it needed to build a new campus to meet the rapid growth of its engineering teams in the state, Wilson suggested that they build in Kirkland to give the company the facility it needed without having to move. “The fact that he wanted to stay here reinforced what we already knew — that we had a very livable community and we decided to be more intentional about keeping it that way,” Triplett said. It almost sounds counterintuitive. Typically, communities attract businesses to their regions and then residents follow. However, Kirkland discovered that in the technology sector, the opposite occurs. Those individuals choose where they want to live with the same kind of care that they choose their job. Tech workers have certain lifestyles they like to maintain, and they expect a wide range of cultural amenities throughout the communities in which they live. When they find the perfect place to put down roots, the companies often follow. Triplett admitted that it can be a gamble, especially if the focus of your plan is strictly economic, but by developing a plan that is more altruistic, the byproduct is thoughtful development, great schools, engaged citizens and a great community that people want to be part of. “It is a conscientious economic development strategy that is community focused,” he said. 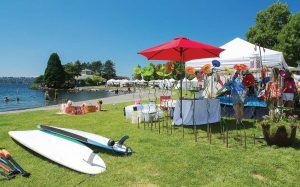 In order to keep the community active and engaged, Kirkland officials are constantly asking residents whether or not they are hitting the mark and how they can do better. They also work with residents to identify solutions. During the recession, Triplett said like many cities throughout the nation, Kirkland had to make a number of cuts to its parks department. This was later identified as an area of importance to residents who voted to raise their taxes in order to pay for these important amenities. In order to prepare for these ballot measures, Kirkland has created a city work plan, which lays out the quality of life measures to be adopted over the next two years. While there are the usual line items included in the budget, such as police, fire, sanitation, etc., there are also large, multi-departmental initiatives as well. If the initiative is passed in a ballot measure, then the next year the city will raise the funds to pay for it before executing the end result. In 2016, the public suggested that Kirkland needed to do a better job of combatting homelessness throughout the community. The city wanted to be the first municipality on the east side to have a homeless shelter for women and families so it partnered with a regional coalition for housing — as well as churches and other nonprofits — to construct the eventual space. Another initiative is to build a better relationship between the police and residents, shifting to a community-based model. This initiative doesn’t cost much but will change the way everyone interacts with one another. Rather than spending time in their cars, officers are encouraged to go into the local church or mosque so that folks can meet and interact with those who are working hard to protect them. The city has also been working hard to have its own animal control center that allows folks to adopt and obtain licenses closer to home. “Jennifer Matison is our animal control officer and she is the most photogenic person who is always posting selfies with the animals,” Triplett said. Triplett said creating a livable community is not earth shattering, but it is common sense. It begins with intentional, strategic planning; being accountable for the decisions that are made; and then asking again to ensure that you hit your mark. “It’s all about being methodic, doing what is important and reevaluating along the way. Some things aren’t as important or as feasible from one year to the next, but it is a process that works. I feel lucky to be in Kirkland where there is an amazing and engaged city council who wants to make the community a better place for those who live here,” he said.